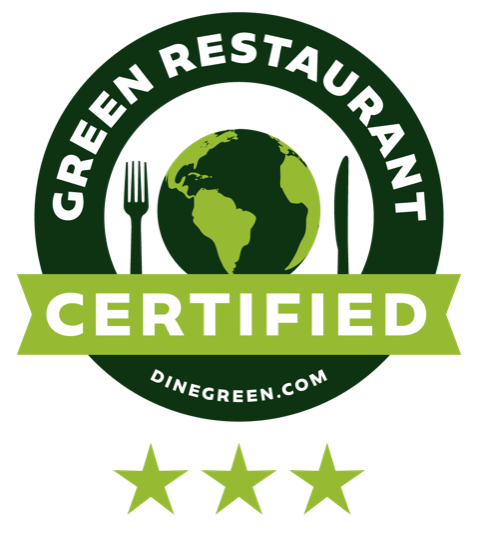 We weren’t surprised when Michael Pollan politely declined our request that he recommend fast-food fare that greenies can order with a clear conscience. “The single most eco-friendly item at the average fast-food restaurant,” he responded through his assistant, “is the tap water.” At the risk of contradicting the wise omnivore, we put the same question to a few quick-fix connoisseurs. Here are their suggestions. JAY FRIEDLANDER directs the Sustainable Business Program at the College of the Atlantic in Bar Harbor, Maine. Before that, he was COO of Stonyfield Café (formerly O’Naturals), America’s first organic fast-food chain. MATTHEW CORRIN is the founder and CEO of Freshii, a fresh-food-to-go chain with nearly 100 locations open and in development in about 20 cities around the world. Freshii’s menu incorporates organic products whenever possible. MICHAEL WANG is the founder of Boston’s Fóumami Asian Sandwich Bar, which opened in 2010. Wang grew up working in his father’s Chinese restaurant and has more than 20 years of experience operating eateries. HANS HESS is the founder and CEO of Elevation Burger, a Virginia-based chain (with locations in 10 states) that serves organic burgers made from grass-fed, free-range cows. MARCUS GUILIANO is the chef-owner of Aroma Thyme Bistro, an organic restaurant in Ellenville, N.Y. He claims to have reversed a handful of his own medical conditions, including asthma, via a diet of healthy, sustainable food. OUR CHOICE: The Veggie Patty sandwich at SUBWAY makes for a satisfying lunch, especially when served on freshly baked honey-oat bread with Swiss cheese, spinach, tomato, onion, and a dollop of honey mustard. (Just remember to say no to the plastic bag.) Unfortunately, Subway doesn’t offer its Veggie Patty at every outlet — but the BK Veggie Burger from BURGER KING is available nationwide. It’s not quite as tasty as Subway’s patty, but if you’re famished and on the road, it’s planets better than the factory-farmed meat from, say, McDonald’s or Taco Bell.